Three-phase drives are used in almost all electrical drives today. The automatic control of such drives is a mathematically complex and costly undertaking. 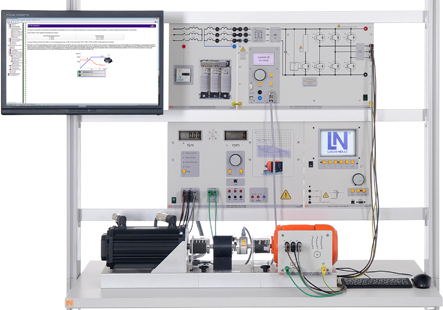 With the help of a special toolbox for MATLAB, the training system makes it possible to simulate complex control algorithms, and subsequently test them by means of automatically generated code on authentic, intrinsically safe hardware incorporating a motor and load.